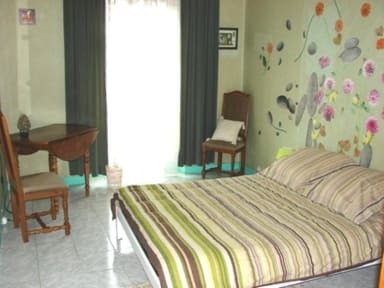 We are located in the heart of the city (4th floor with elevator) where one will discover large, sweet and sunny rooms. 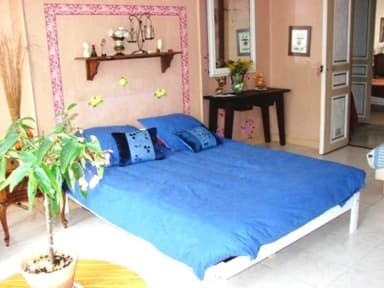 Le Blue room, with 2 beds and a quirky blue decoration and the romantics Pink one (with a double + a single bed) and Green one, with a double bed.
' to make your own breakfast and diner! Here, in the heart of Nice, you will feel at home. I can happily recommend some good, cheap places to eat or have a drink ! *All rooms are equipped with AC + double pane windows.